We already knew that Cyberpunk 2077’s main character is V. They’re a mercenary living and working in the dystopian future metropolis of Night City. Developer CD Projekt Red says that we will be forced to play as V, but in an interview at E3, associate designer Kyle Rowley revealed that you will be able to quite literally shape V’s character as you see fit. That’s because Cyberpunk 2077 has a full character creator. That same creator will allow you to pick your character’s gender, as well as decide on their body type, skin colour, hair, and add facial attributes, tattoos, and make-up to them. That’s right, you can choose your Cyberpunk 2077 character gender. Whether you decide to play as a male or female, you’ll still be V, and your character will still be voiced. According to Destructoid, who saw a demo behind closed doors, you’ll also be able to decide on V’s birth record, background check, biometric scan, and biostates. V’s life events – which you also decide – such as ‘death of a sibling’ and ‘ran away from home’ will also influence your character and how others perceive them. Also of note, V’s stat categories are Strength, Constitution, Intelligence, Reflexes, Tech, and Cool. Yep, that means you can level up your Cool. On top of all that there’ll be three main Cyberpunk 2077 classes. You can choose between NetRunners, Techies, and Solos, and will have access to both melee weapons and guns, with Tech, Smart, and Power weapons, all designed for different playstyles. This news was revealed on GameSpot‘s E3 livestream. 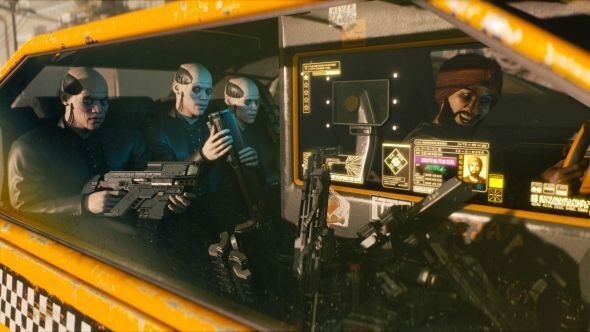 We don’t have a Cyberpunk 2077 release date just yet, which is shame, but CDPR says it’s about to start talking more about Cyberpunk 2077, so hopefully we’ll know more soon.